If you're trying to remember the last time you saw this car on the road, spare yourself the trouble. This spanking-new model from Buick has only recently hit the consumer market. But we don't doubt you'll be seeing more of it soon. 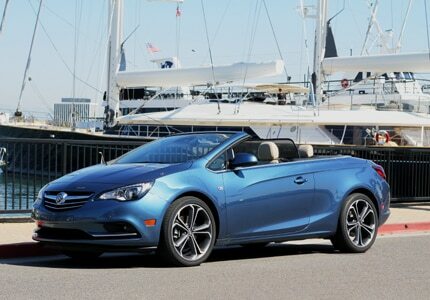 The 4-passenger convertible is perfect for family getaways and breezy, sun-kissed road trips.